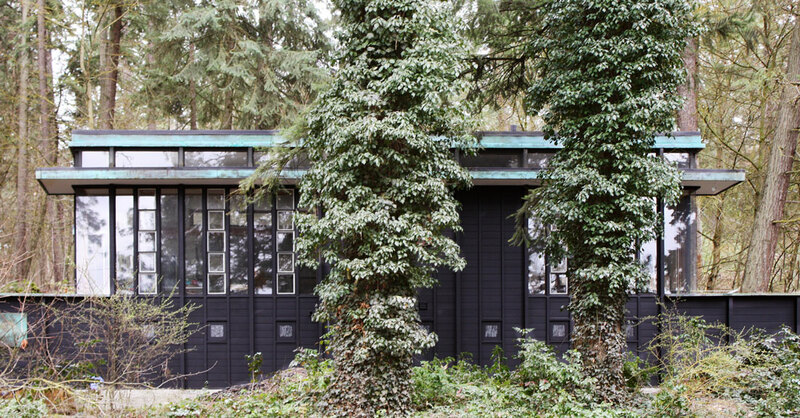 Decidedly Wrightian in character, the Norman E. and Dorothy Wells house is a compact house that nonetheless feels more expansive due to borrowed space within the house and its relationship to the surrounding open space and woodlands. The house was given a Spokane Chapter American Institute of Architects award in 1960; additional recognition came in 1977, in which the program for the house was described as being to design a home for a young couple with three small children that was “a livable and exhilarating structure” that would fit the family comfortably for under $20,000. 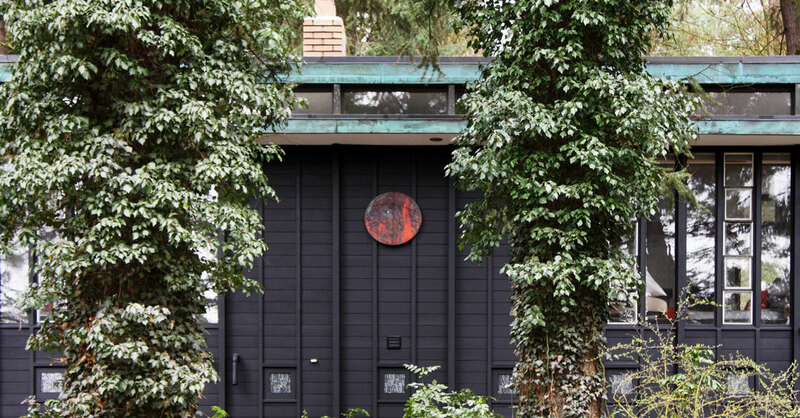 Wrightian-style architecture derives its name from the work of Frank Lloyd Wright (1867-1959) during his Usonian period, which began in the late 1930s. 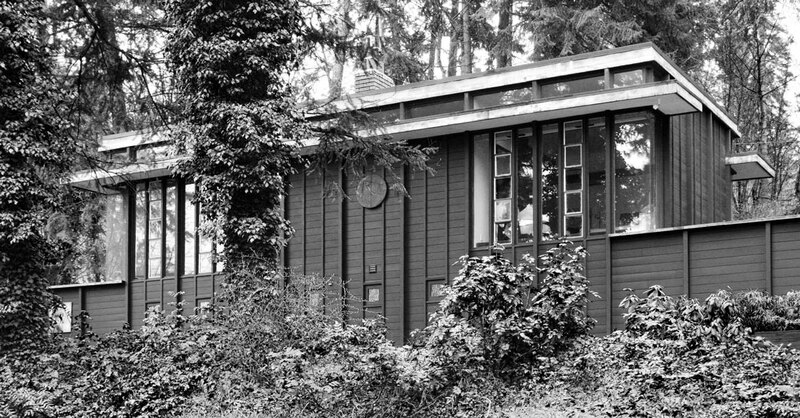 Usonian houses represent Wright’s attempt to design livable, typically small houses tailored to their owners’ needs and their sites. They were often exquisitely detailed and featured an extensive use of wood and other natural materials. 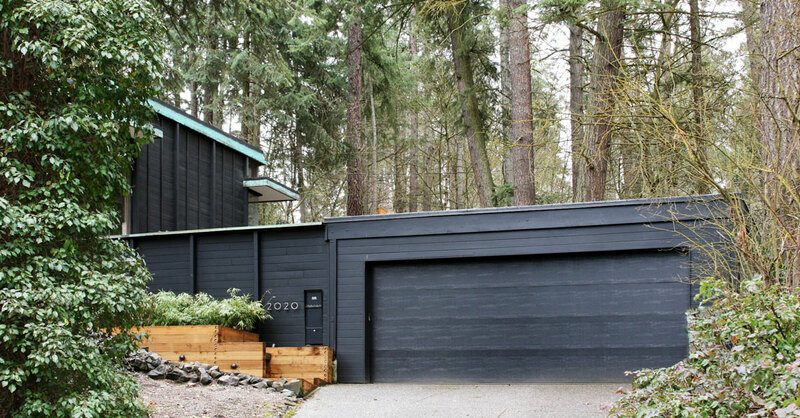 In addition to these concepts about modern house planning, the Wells house shares distinctive exterior features with Usonian houses, including a tension between vertical and horizontal emphases. 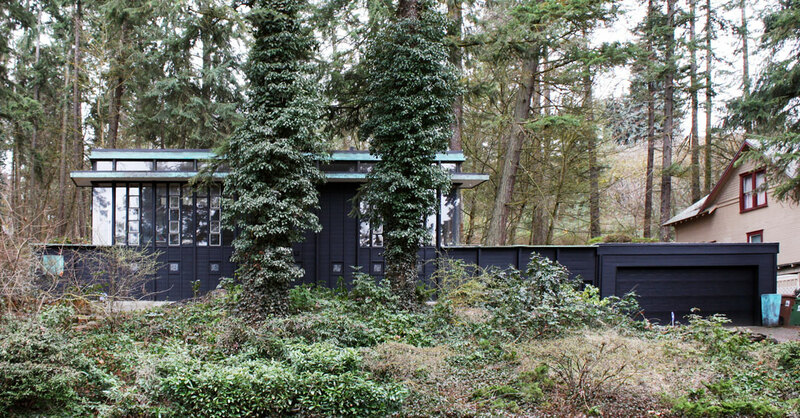 As in Wright’s houses, the lower horizontal form, reinforced by the flat, deep, overhanging eaves, contrasts with the vertical battens and vertical windows seen on this house. 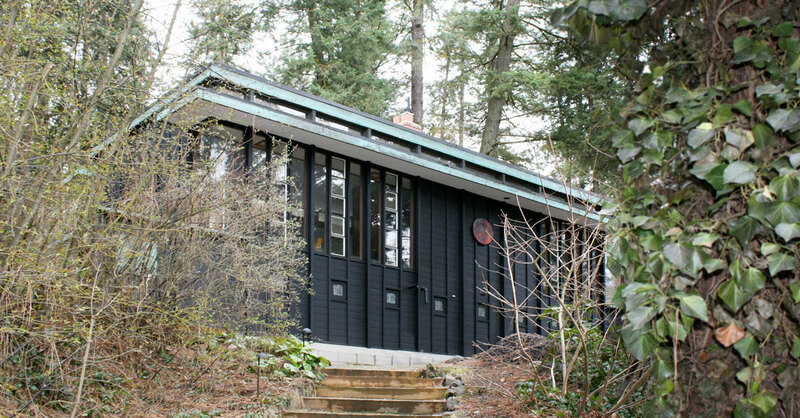 Architect Warren C. Heylman was born in Spokane and attended Washington State University. He was awarded an architectural engineering degree by the University of Kansas in 1945. Heylman was employed by Spokane architect G. A. Pehrson from 1945-46, by Whitehouse & Price from 1946-48, and by John P. O’Neill from 1948-50. He founded his eponymous firm in 1952 and retired in 1984. Among his most well-known buildings are the Liberty Lake Golf Course Club House (1957); Spokane International Airport (1965, with William Trogdon); the Parkade (1967); the Hangman Valley Golf Course Club House (1969); and the Spokane County Social and Health Services Center (1977). He also designed more than twenty houses. Heylman was inducted in the American Institute of Architects College of Fellows in 1983.